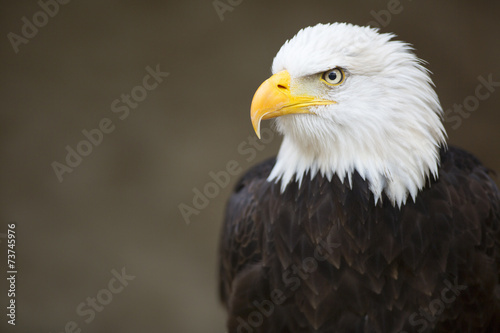 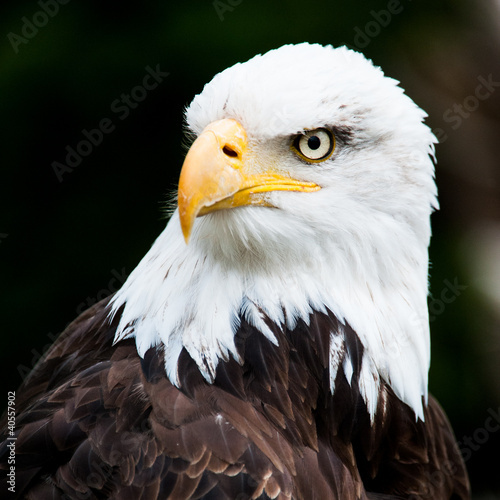 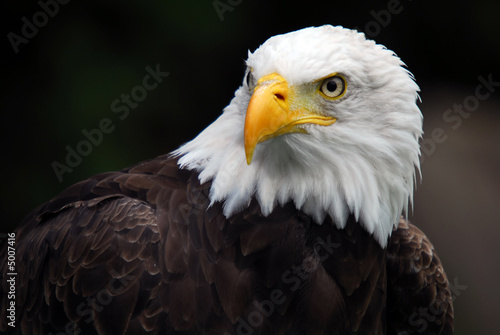 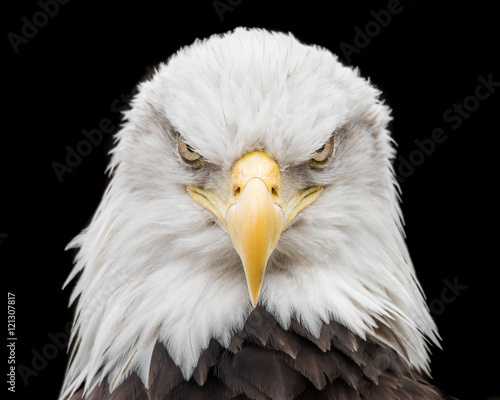 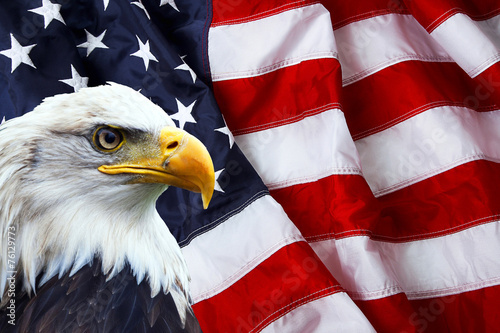 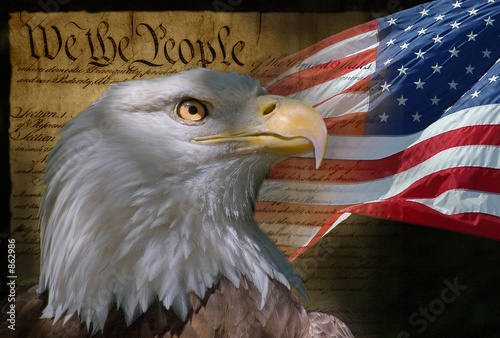 Bald headed eagle, side profile. 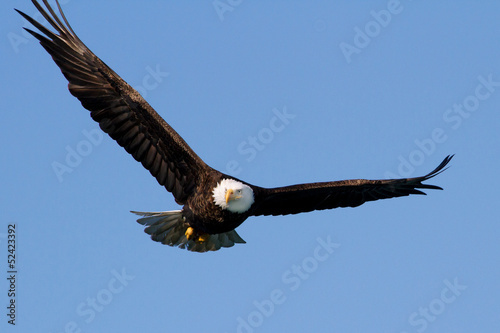 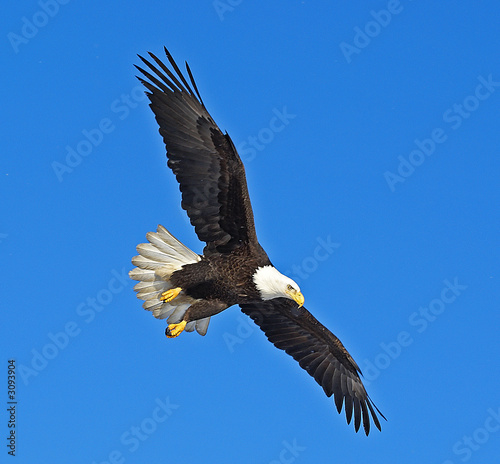 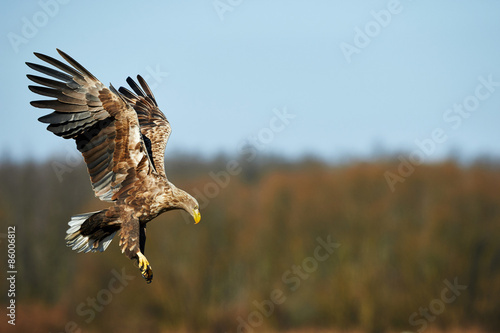 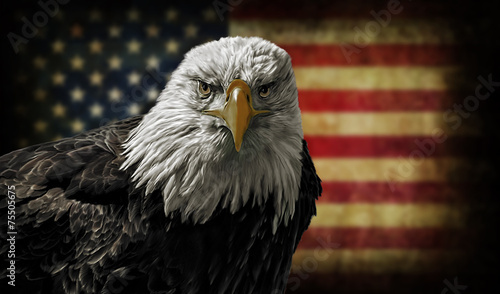 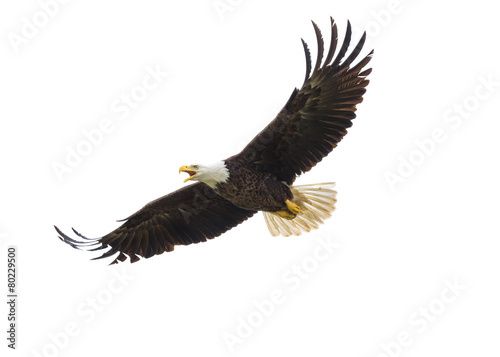 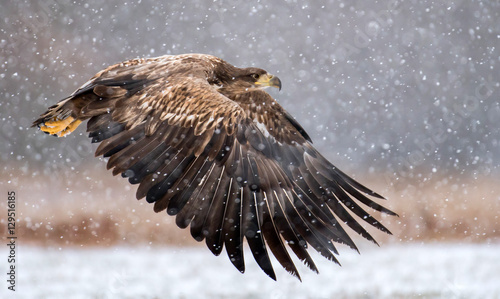 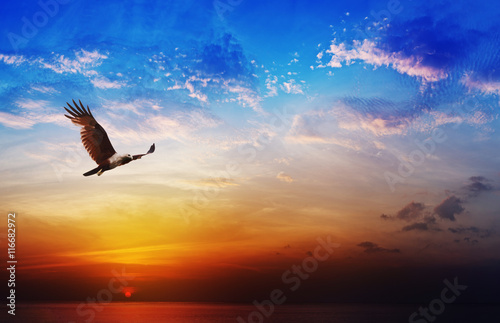 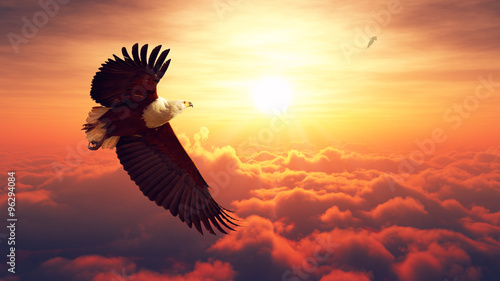 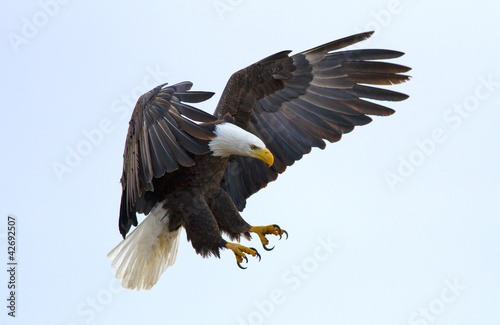 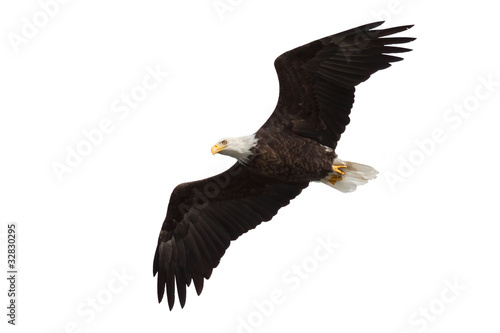 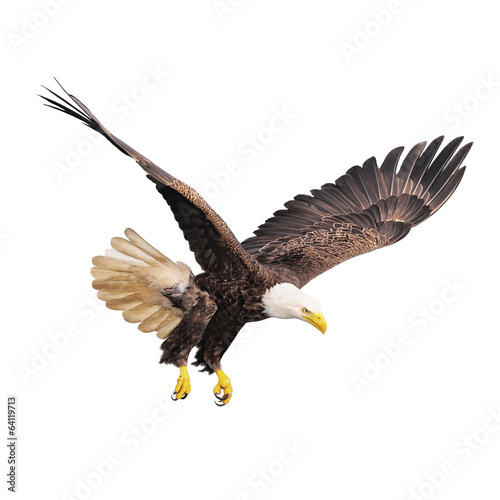 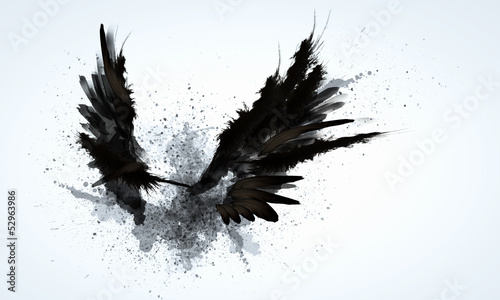 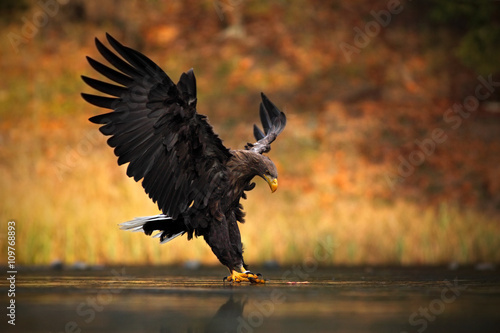 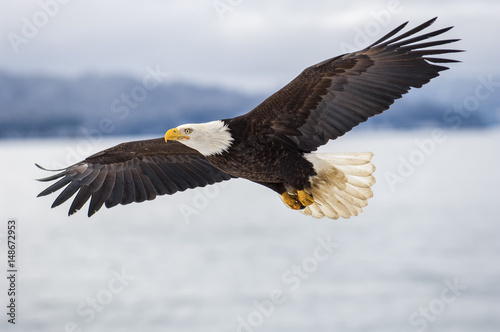 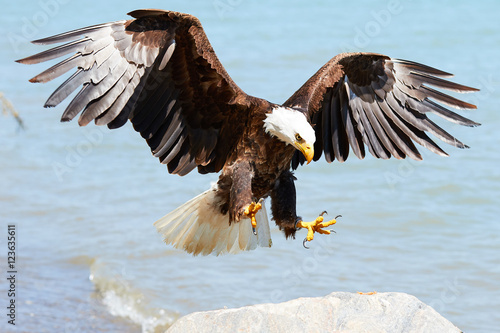 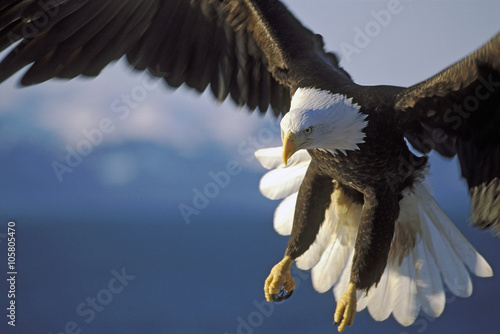 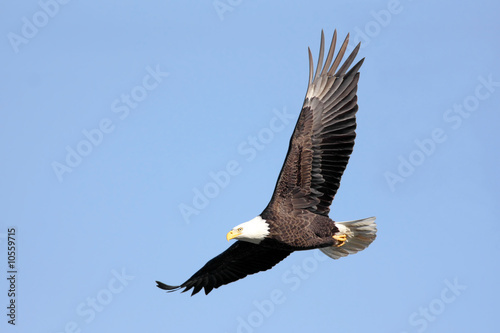 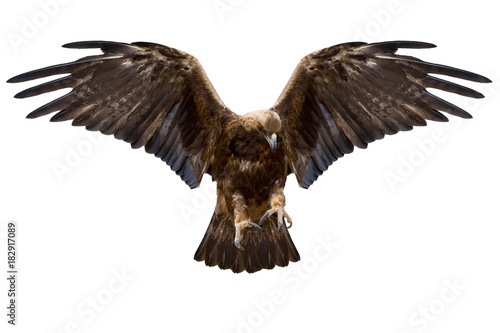 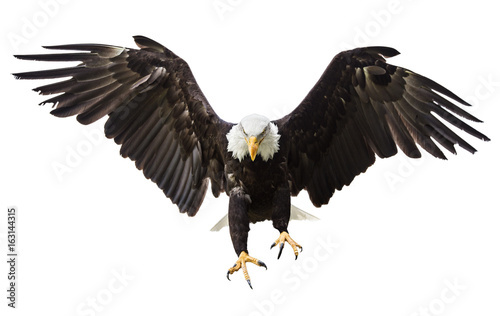 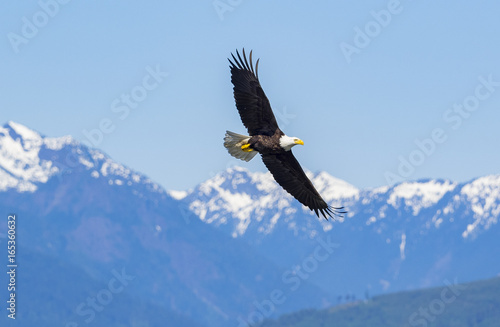 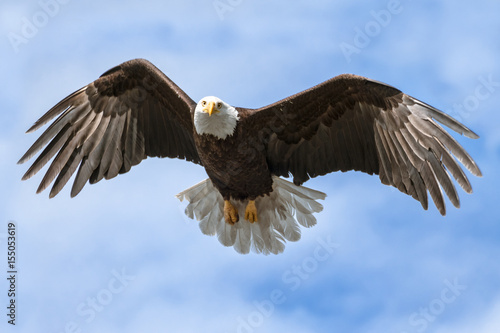 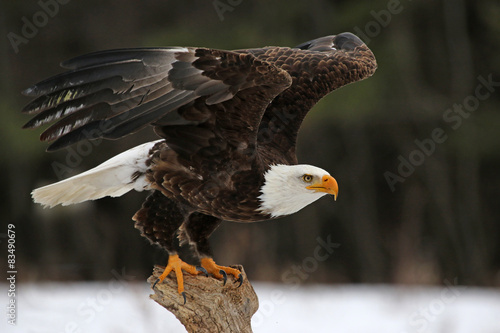 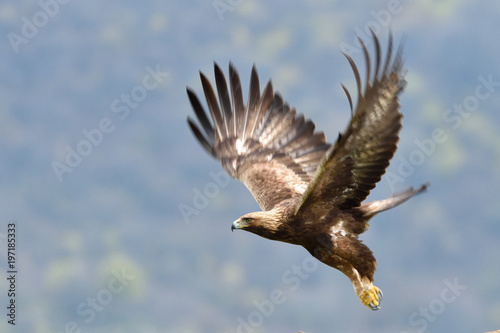 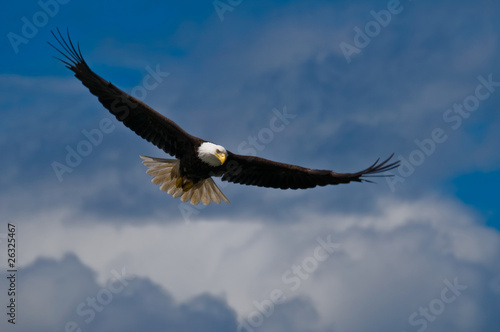 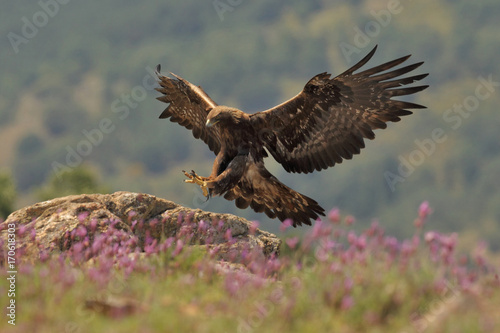 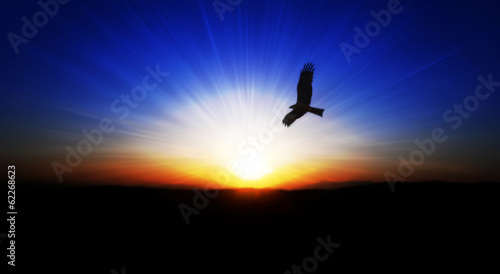 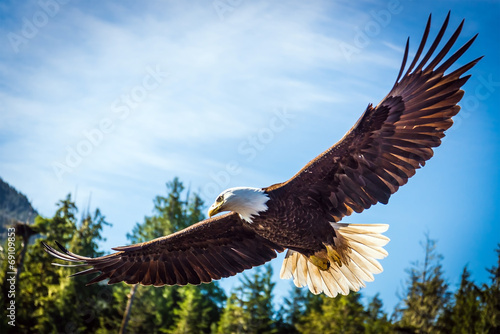 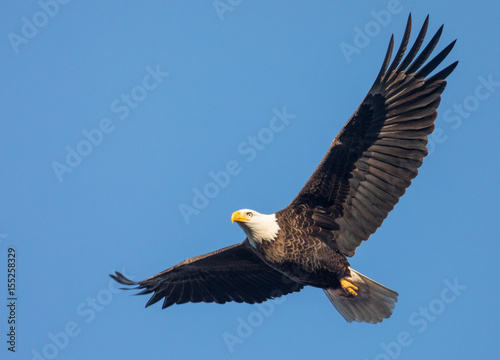 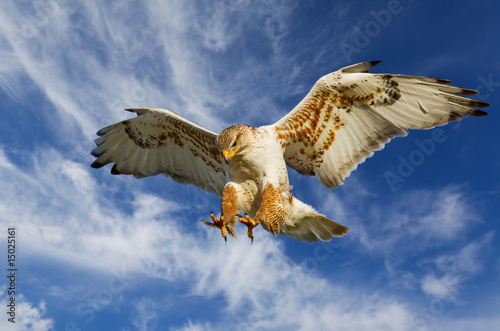 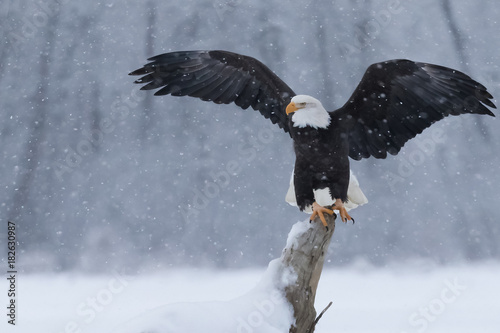 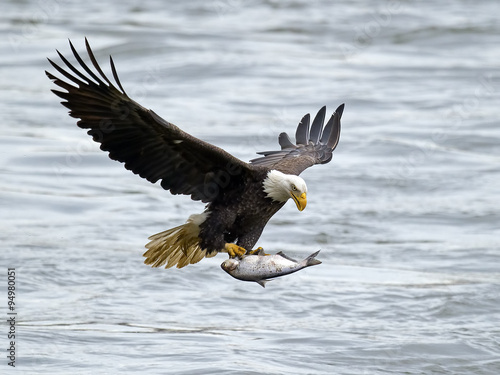 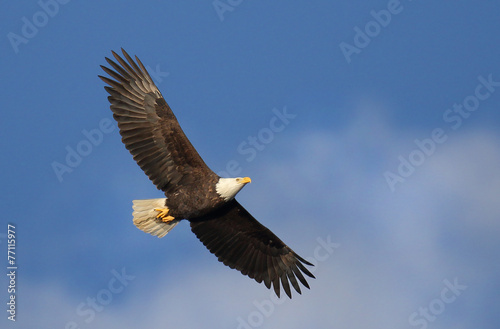 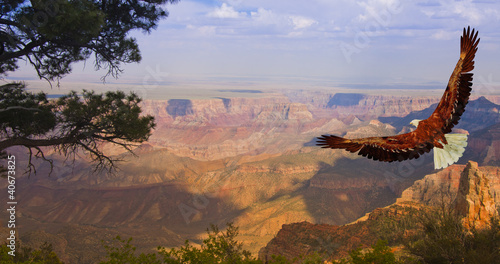 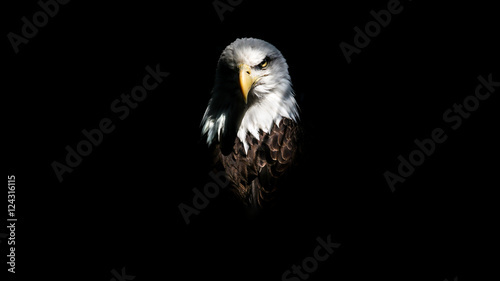 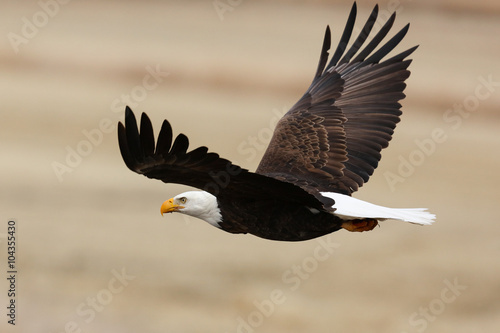 A Bald Eagle (Haliaeetus leucocephalus) taking off..
Bald eagle isolated on white background. 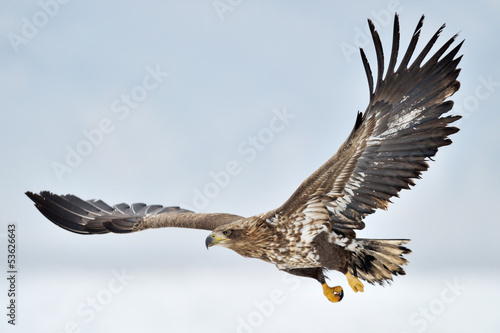 White-tailed Sea Eagle flying above the pack ice.